Summer Butler had no idea that Darling Investigations would be such a smash. But ratings don’t lie—fans love watching the former star solve real-life crimes in her hometown. With the first season wrapped, the reality-show PI is feeling the pressure to make the next one an even bigger success. Though finding a new case won’t be easy—it’s not like another dead body will just fall in her lap—Summer’s willing to give it a try. Besides, reconciling with her family—not to mention her old flame, police chief Luke Montgomery—is a nice way to spend her downtime. 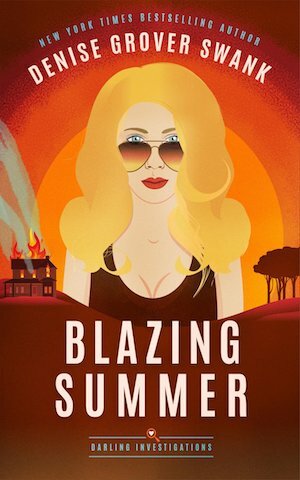 But Summer’s rekindled romance isn’t the only thing burning up Sweet Briar. It seems the town is harboring an arsonist, and all the smoldering signs point to the same culprit: her cousin Dixie. Although this case may be too close for comfort, it seems season two is already bringing the drama—and for Summer it could also be too hot to handle.